“Right, this is going to be really bad”, was how Clive introduced the first number of his new opera. As it turned out, this was also how he introduced each subsequent number and, in all fairness, it didn’t feel like he had been endowed with unusual powers of prescience. Everything was pointing towards it being really bad. The title of the opera (“West Dorset District Council: The Opera!“) didn’t entirely evoke Valhalla and the fact that we’d had precisely no rehearsal and that Clive and I had acquired half of the props from Poundland one hour before curtain up also led me to believe that his prediction was founded on a solid bedrock of evidence. The trouble was, it was really good. Like many others, I first came across Clive Stafford-Smith when I saw Fourteen Days in May, the film that followed Clive, then a young, unknown, freshly-graduated lawyer as he desperately attempted to avert the execution of Edward Earl Johnson, a prisoner on Death Row in Mississippi. Ultimately, his efforts were to prove unsuccessful and Johnson was sent to the gas chamber on 20 May 1987 but this would prove to be one of only six cases (out of more than 300) where Clive has failed to prevent the death penalty. He has secured the release of 65 prisoners from Guantánamo Bay and is at the forefront of the campaign against US drone strikes in Northern Pakistan. He represents the absolute benchmark of what it means to fight for and to expect a compassionate and just world. I think I can be forgiven for having had one or two initial misgivings about his natural-born abilities as an opera producer. Hotfoot from Poundland, we proceeded, shortly before the scheduled arrival of the West Dorset District Chorus (Motto: “One Person, One Note”), to The Electric Palace in Bridport. Undeterred, and showing the stripes of the seasoned campaigner, Clive uncorked a couple of bottles of Pinot Grigio left over from his four year-old son Wilf’s birthday party and he and opera co-creator Andrew Leppard set about explaining what the production was all about. “It’s a staged version of a recent District Council town planning meeting”, said Clive. So, not quite da Ponte but, all the same, one of the most radical starting points for an opera I’ve ever come across. 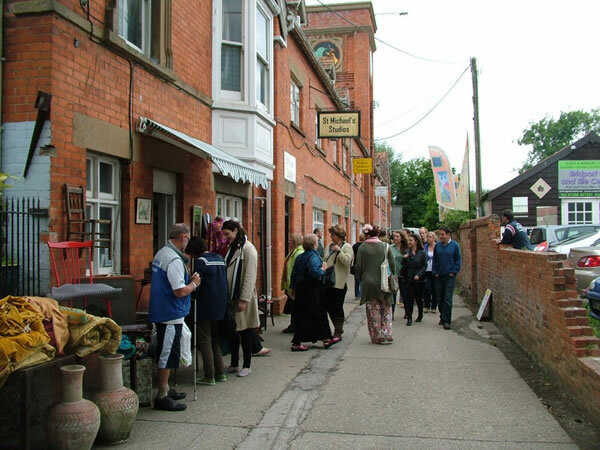 The action all centres around the unprepossessing St Michael’s Trading Estate, a vibrant area of workshops and small businesses with a regular market that attracts significant numbers of tourists. The Conservative-led council has formed the notion that it’s all a bit scruffy and suspiciously Bohemian and thinks it would be a marvellous idea to bulldoze it and replace it with a yawningly predictable block of flats. To sidestep the technical issue of nobody else wanting this to happen, the council held their planning meeting outside Bridport, limited the number of people who could attend and joyously railroaded through a spot of draconian planning consent, all the while perhaps carelessly failing to spot that one of the world’s most powerful campaigning lawyers was among the handful of locals that did actually manage to locate the meeting and squeeze into it. And so unto Bridport was born an opera. The opera performance began with an attempt to change local election rules. 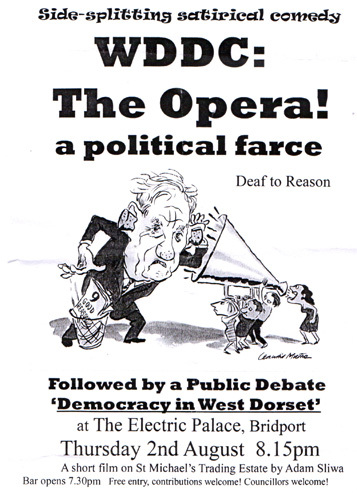 The Recall Election Riff from West Dorset District Council: The Opera! We can still Recall...[Councillor] Gillian Summers, Now the votes are in...counting will begin, Gillian Summers, A thousand and we win. One reason I had had misgivings about the potential success of this production had been the opinion of one of the chorus members that the marketing strategy had extended as far as (but not much further than) the use of one side of an A-board on the pavement outside the theatre. The theatre was packed to the rafters. Latecomers were stuffed into the bar at the back of the stalls in order to keep the aisles clear. The four hundred or so assembled Bridportians signed petitions calling for the establishment of a Recall process which would allow them to vote out (or keep in) elected officials. 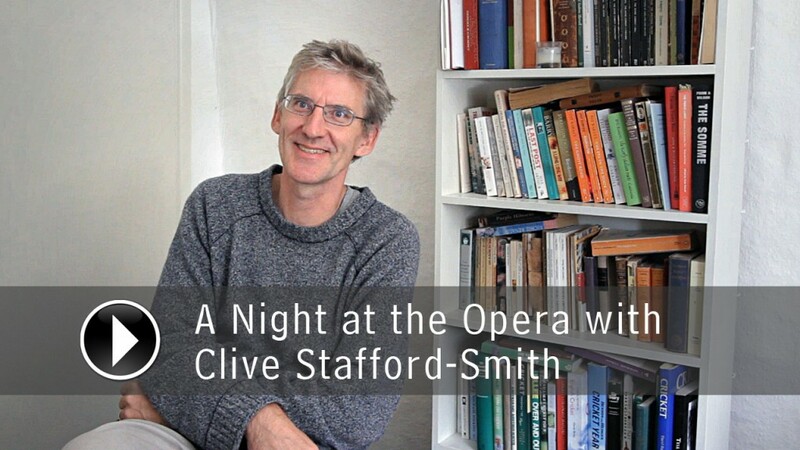 Intentionally or quite possibly otherwise, Clive and Andrew had created a sort of West Country Singspiel – kind of like a local government version of Die Zauberflöte. A comic, spoken reanactment of the fateful council meeting was punctuated with lustily intoned songs of protest. Brid-port, You don't have to give this the green light, Those days are over, You don't have to sell our backstreets to the right. It became apparent early on (although, as I may have said before in this production, an hour before curtain up counted as “early on”) that there was really very little conducting to be done. A really excellent local band, The Sidekicks, provided all the musical direction that was needed and I found myself promoted sideways to the post of Director Of Powerpoint, assuming control of the libretto (“I can’t get no…Council Action etc. etc.“) which was projected onto the back wall of the theatre for the audience’s singing pleasure. After the opera we all had a public debate about town planning. I’d like to write that again. Nobody left. Everybody stayed. It was long past 10 o’clock at night but Bridportian upon Bridportian got to his or her respective feet and gave vent to his or her respective spleen at council skullduggery depicted in the opera, calling on fellow residents to grasp ownership of their town. I don’t mind admitting, I was astonished. I ran an opera company for several years in the 1990s and we cleverly staged operas at the South Bank Centre, Sadler’s Wells, the Royal Opera House and other illustrious gaffs but it took a human rights lawyer with an unhealthy amount of Madonna on his iPod to demonstrate to me that opera could actually be…well…useful. So, was this really an opera? I’m fairly certain that any self-regarding opera critic worth his or her cravat would disagree but I’d happily bet my last Opera Rara CD that the experience of last Thursday at the Electric Theatre in Bridport had a lot more in common with Schikaneder’s theatre in the 1790s than most of the hermetically rareified productions of Flute that get carted around opera houses these days. It was a privilege to be there. Perhaps, though, the poetic coup de grace of the evening has to be attributed to that unknown person who, when tasked with finding a venue for the rowdy, all-night, neighbour-ruffling aftershow party, chose to book a room at the Bridport Conservative Club. BRILLIANT! As a former employee of one Stafford-Smith venture in the U.S., I can say Im not at all surprised at the idea, the implementaition or the success.